Build it, and they will come - Restoration Gardens Inc. Build it, and they will come - Restoration Gardens Inc.
Not long after your green roof has been planted, you’ll begin to notice that you’re not the only one enjoying the new garden space. 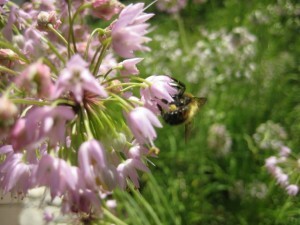 Bees are attracted to the bright colours of the flowers, while birds love the spent blooms for seeds. Green roofs can provide valuable ecosystems in dense urban cities.